The events was opened by field-and-frack relay race along the main street of Turkmenabat, Bitarap Turkmenistan Avenue. The Head of the State run the first leg of the relay race. It was followed by the cycling race. After, the President of Turkmenistan arrived in the place of the rally start. 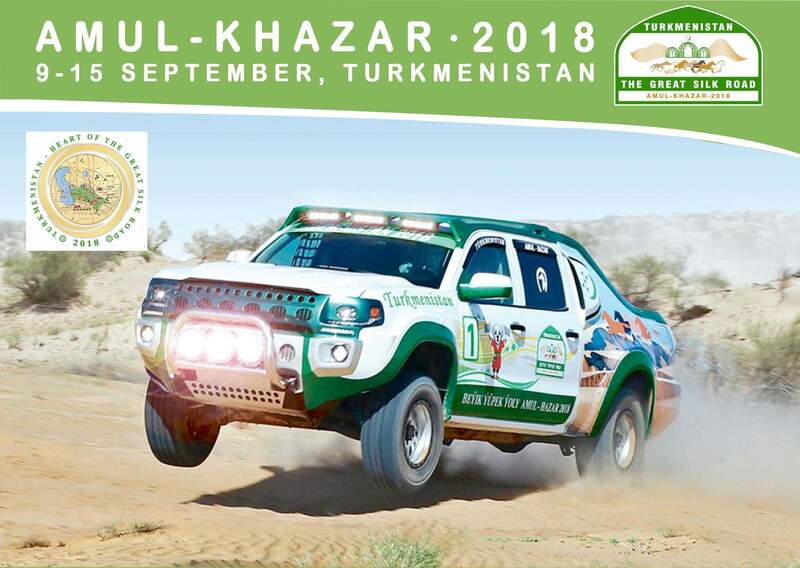 Currently, preparation works to international rally Amul – Hazar 2018 on September 9 – 14, 2018 are carried out in the country. Initial map of route has been already made. It divided into five laps. These are Amul – Mary, Mary – Derveze, Derveze – Turkmen Lake, Turkmen Lake – Yangala, Yangala _ Avaza. General Director and organizer of the famous rally “Africa Eco Race” Jean-Louis Schlesser, who is also known as double World Champion in sport cars rally and double winner of Paris – Dakar, was among the participants of the events. Having congratulated Turkmen leader on beautiful holiday and wished great success in further development of sports in our country, Jean-Louis Schlesser handed over the key from presented racing car. The Head of the State made a ride along the part of the track of Amul – Hazar 2018, having demonstrated skilful off-road driving. After that, the time and speed racing contests were held among the crews of the cars representing the Ministry of Internal Affairs and Automobile Sport Federation of Turkmenistan. The events in Turkmenabat are continued. Opening of new International Airport of Turkmenabat is planned in the afternoon.